I hope you have had a happy new year's. I went up to Manchester to see my family and some school friends. 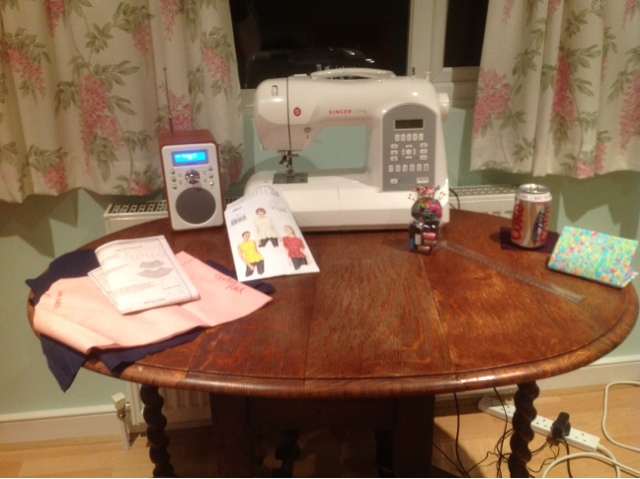 I got a new sewing machine for Christmas from my husband Matt. Good bye £100 Toyota 14 stitch machine from Argos. Hello amazing Singer Curvy! It has 255 stitches, 7 buttonhole types, and stitch number 11 is just like an over locker! Woo hoo. I think Singer Curvy sounds a bit like a plus size sewing machine, no? Any way it isn't. I've already put it to use, to finish off the purple wool Colette Peony which had gone quite wrong in the fact that the bodice and skirt were really baggy! A separate post on that later!